Robert Tatton, the heir to the Wythenshawe estate in Cheshire, was disinherited by his father, William. But what had Robert done to deserve this? For background information it is recommended that you read Tatton v Stubbes before reading this. It seems to me a little harsh to disinherit your only son and pass your estate to your grandson instead, but this is what William Tatton of Wythenshawe did in his will of 1606. His only son, Robert – the father of William who inherited the estate – is not mentioned at all. About 1605 Robert eloped with Susan Stubbes, the daughter of William Stubbes and Hester Harington – who was due to be married to another man a few days later – and married her against the wishes of her parents, as shown in Tatton v Stubbes, however it seems unlikely that this is the reason that he was disowned. But this is not all that happened about this time. There are two other documents dated 1603 in the National Archives relating to charges made against Robert Tatton that was heard before the star chamber and instigated by William Tatton, Robert’s father. Sale of tithes and mortgage in Bowdon, conspiracy to murder, land in The Poole, Lancashire. This is certainly a pretty good reason for being disinherited, but just what did Robert get involved in, and who was to be murdered? I am still not quite sure whether Robert was a charming, but devious man, intent on getting his hands on his inheritance (and anything else he wanted), or was just sensitive and kind and ill-used by his friends and relations – and anyone else he met. 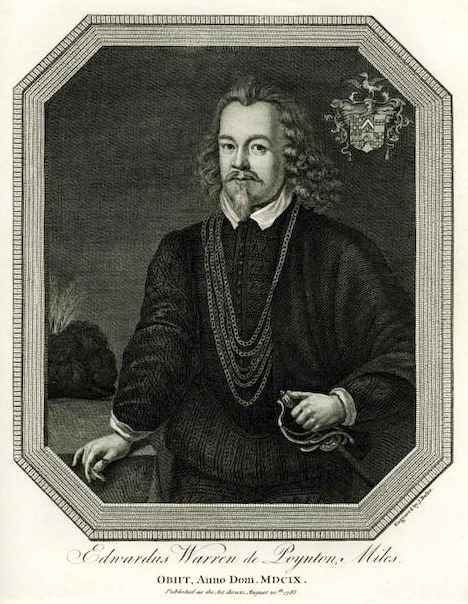 William Stubbes, his father-in-law, certainly held a poor opinion of Robert’s character due to the way that he believed his daughter, Susan, and her children were treated by Robert. But this may be due to his disinheritance and the subsequent large amounts of money that Robert borrowed – mainly from William’s friends and family. Apart from being disinherited, I do not think that there were any other consequences following these charges, unless you count the sad expression that he has in his portrait – painted just before he died in January 1624. The first items are related to the mortgage on the rectory of Bowdon taken out by William Tatton. The sums of £600 and £800 are mentioned as well as the names of Sir Edward Warren and his father John Warren, of Poynton who died in 1587. It seems that Robert had obtained the statute for £800 that his father had taken out on his properties from John Warren, and were now held by his son Sir Edward Warren. … and by that meanes to have gotten the possession from your father of & in his Capitall howses of Wythenshawe & Peele and his demeasne Landes & goodes there into your owen handes & to your owen use. Robert – along with Edward – is accused of “practising to extend his fathers landes”, as well as the supply of “meate drinke and weapons” to those who would hold the landes of his father. … he was pryvye that the said Sir Edward Warren dyd purpose and intende to extende the landes of this defendants said father & knoweth that parte therof was extended by the said Sir Edward. Howbeit he this defendant dyd not by himself or by any others at any tyme perswade or practyce with the said Sir Edward to extende the same: but confesseth that he dyd trethe the said Sir Edward Warren – beinge his wyves brother & suche as were in the said Sir Edwards Company & before possession against his father – with meat dryncke and lodging. And he thincketh that somme of them dyd to keepe the said possession taken somme wepons owt of this defendants howse. … bought the estate and interest of the said statute of £800 for the better securing [of himself] concerning certen articles of agreement formerly made betwixt this deffendants said father and [himself]. This earlier agreement – held by Manchester University – was made in October 1592 and concerns various properties in the possession of his father. There is a note attached to the document that says that it was also exhibited in a suit dated 16 April 1605, two years after this inquisition. One of these properties, the rectory at Bowden is also mentioned in this inquisition. If anyone can provide a good definition of “extending lands” then I would be grateful. From the way the interrogations are worded it cannot be a good thing – at least not for Robert’s father. Robert also denies another accusation that he attempted to have his father arrested. Neyther dyd he come to his fathers said howse in Companye with the sheriffe of the sayd Countie uppon purpose to have entred and kepte possession there or to have mayneteyned and furthered the same against his father. Neyther hathe he at any tyme layd plottes with Sheriffe Baylyeffe or with anye other to take arreste and attache his fathers boddye intendinge or myndinge to have him imprisoned as in this Interrogatory is supposed But the defendant dyd many tymes doe his best endevor to keepe his said father from beinge arrested or imprisoned. It seems that it was after this that Robert was forced into an agreement to end the controversies and disagreements between him and his father, and that he was advised that if he did not stand by such agreement that his father would disinherit him. … that there was an agreement made and sett downe in wrytinge by certen Knightes & gentlemen for the fynall endinge of all controversies and disagrements betwixt this defendants father & this defendant But this defendant doth not remember that anye boddy dyd advise him to stande to such said agreement least his father would disinherytt him or that hee this defendant dyd make anye suche undutifull & unrespective agrement as in this Interrogatory ys mencioned. It seems that Robert’s father, William, was suffering from syphilis and being treated by a surgeon named Plante – William would have been nearly 70 years old and this was a serious condition. Robert is accused of sending one Peter Warren to visit the surgeon Plante at his father’s house [Wythenshawe] to arrange a meeting with him in private, but without the knowledge of any of his father’s servants, leading to suspicions about the purpose of the meeting. This meeting was arranged through Sir George Leycester – whose daughter was to marry Robert’s eldest son – and who was travelling between Robert and his father in order to work a reconcilement between them. … move or perswade hime the said Plant to use or laye somthinge to your fathers Sore or some other parte & place of his Bodye whereby to swell & Corrupte his said Bodye & take awaye his Liefe sayeinge further to the saide Plant that if your father did Amende & recover his healthe of that disease It would be to your undoeinge, for that yow sayde yow muste paye greate summes of money for hime. … dyd not crave or perswade the sayd Plante to use or laye any thing to his fathers sore or anye other parte or place of his fathers boddy whereby to make the same to swell & to corrupte his boddy & to take awaye his lyef as is supposed neither dyd he this defendant utter suche speches to the said Plante as in this Interrogatory are mencioned or any speches to anye such effecte. From the above accusation it seems that he owed a great amount of money, which, perhaps, he was hoping would be covered by the death of his father and his inheritance. Plante does seem to have made the accusation himself about Robert who, of course, denies anything other than trying to obtain the best possible care for his father, and making sensible arrangements should he die. To that end he is accused of asking Peter Warren to send him word when his father died, in the expectation that it would be soon. Did yow tell the said Peter Warren that yow muste Comit truste unto hime touchinge matter wherein he muste use greate secresie tellinge hime that he was of your wyves fleshe & bloudde & that frendes muste holde together, and whether did yow tell the said Warren that yow did knowe your father colde not live fower dayes, and therefore desired hime that presently upon your fathers deathe he woulde come unto yow or send yow worde thereof. Perhaps he was expecting this, considering the poor health and old age of his father, but it seems to have been taken to mean that he was expecting news of his father’s death because he had something to do with it, especially because of the conspiratorial nature of the conversation with Peter Warren. Peter was probably a younger brother of his wife, but may also have been in the service of Robert’s father so was in a position to be able to get a message to Robert [presumably in London] quickly. …. of late come to your fathers Howse havinge a dagge or Pystoll charged aboute yow and at the same tyme sent unto your father & desired to see hime, and whether did yow tell any person & whome, that yow weare Counselled or Intended to Kyll one John Bellers whoe (being deposed) was thoughte (as yow sayde) colde accuse yow of manye lewde undutifull & trecherous dealinges misdemeanors & Offences by yow Committed & doene or used againste the said William Tatton your Father. John Bellers is likely to have been a trusted servant of his father. What Robert was carrying was probably a Dagger Pistol, which was, as the name suggests, a combination of a dagger and a pistol, but is not really the sort of personal defence that a gentleman might carry. … that hee dyd of late ryde from London allone to his fathers howse, having about him for his necessary defence a dagg or pistoll charged. And when he came to the owter gate of the said howse he desired one of his fathers men to goe & tell his father that hee was come thither to crave his blessinge & with an intent in all dutifull manner to satisfye his said father concerning any matters that he should objecte against him if he this defendant might be admytted to his presenc. But this defendant dyd not tell any boddy that he was councelled or intended to kill anie John Bellers in this Interrogatory mencioned for any cause whatsoever neyther dyd this defendant intende any such thing nor was councelled by any boddy to doe any suche thinge. … Plant had accused him this defendant unto them that he had practized with him to laye some plaster or other infectious thing to his fathers sore which might swell upp into his boddy & take away his lief. The only reason that I can see for Plante making up this story is if William had died, and wanted to blame someone else, or Robert had refused to pay his fees – assuming it was his responsibility in the first place. As far as I can tell neither of these happened. … gyve over in speches that this defendants said father had or was infected with the frenche pockes or with any other odious diseases but rather allwayes desired to conceale his said fathers infyrmities & diseases. Roberts responses seem quite reasonable but his replies also seem to strengthen the opinion that William Stubbes had of him, as a skilled and believable orator. It is possible that Robert did not have any reason to want his father dead and this was all a terrible misunderstanding. But there seems overwhelming evidence that the opposite was true – certainly his father believed that Robert wanted him dead. One other scenario is that William simply did not trust his son with the estate, and made up the accusations so that he could disown him and pass the estate to his grandson, William. He would have needed the support of the surgeon Plante and several other of the characters in this story and is not impossible that he did this, however I think it unlikely. When William wrote his will in 1606 there is no mention of Robert at all and everything is passed to his grandson, William, Robert’s eldest son. Some records attribute the portrait of Robert Tatton to his grandson, also named Robert (1606-1669), but this cannot be correct. 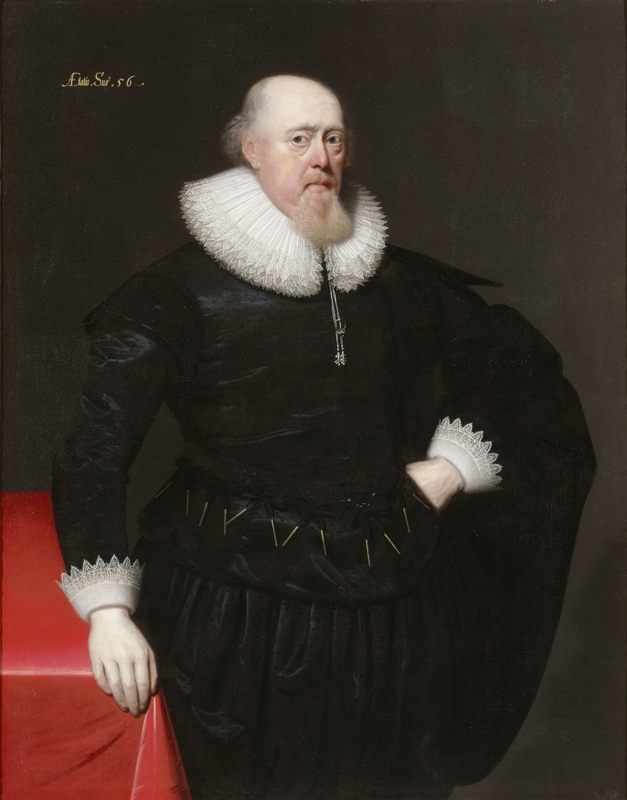 A copy of the portrait held in the Manchester City Art Galleries is signed by the artist – Cornelius Johnson – and dated 1625, the year after Robert died and when his grandson would have only been 19 years old. On the other hand the elder Robert’s wife, Eleanor Warren, died about 1605, or perhaps before, and Robert remarried Susan Stubbes before 1608 – although this evidence for the second marriage is hidden by Robert’s left hand being in his pocket. Having your portrait painted, yet alone to this standard, was not cheap and I am not sure who paid for this, given Robert’s history with money! Poole, which is now in Cheshire, was owned by the Leycester family. Katherine Leycester married William Tatton, the eldest son of Robert, and heir to the Wythenshawe estates, who drowned crossing the Mersey in 1616. In 1602 George Leycester, of Toft, was High Sherriff of Cheshire and he was also involved in negotiating between Robert and his father. 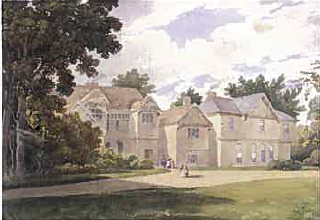 The Elcock or Elcocke family held the manor of White-Poole, which included Poole Farm, from around 1600, and this is the site of the later Poole Hall. The Leycester family probably held another of the three manors. In 1601, Poole had a watermill at Poole Bridge. Wythenshawe Hall was built by Robert Tatton, the grand-father of this Robert, in about 1540 and was in the same family until 1926, when it was sold to pay debts and death duties. The property was bought by Lord and Lady Simon and donated to the city of Manchester for the use of the public. The hall has been used by the local council as an art gallery and is now being opened to the public by the Friends of Wythenshawe Hall. 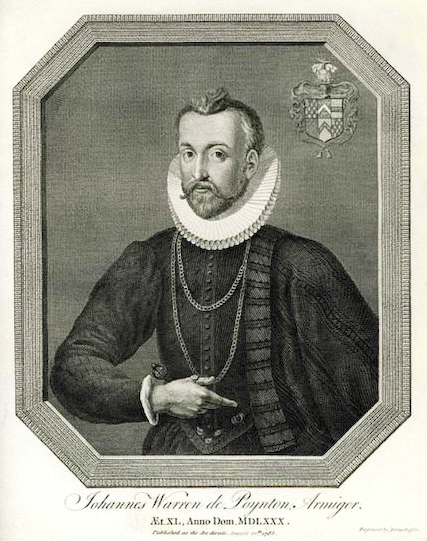 In his deposition, dated 18th May 1603, Robert refers to his wife’s brother which indicates that his first wife, Eleanor Warren, may still have been alive or, at least, he had not yet married Susan Stubbes, which I suspect was around this time when she would have been 21 years old. Perhaps Susan was older than 21 when she was due to be married? They were married before 1608 so perhaps 1605 is a more realistic estimate of Susan’s marriage at the age of 23 – especially if Robert’s first wife, Eleanor, was still alive in 1603. Eleanor must, however, have died shortly after this – she would have been about 40 years old and possibly died in child birth – but there is no record of her death. There is another document in the National Archives dated 1603-1625 which mentions both Robert Tatton and his son, another Robert. Robert Tatton the elder, Robert Tatton the younger and Katherine Tatton, widow. Katherine [Leycester] would have been the widow of Robert’s eldest son William (and heir of Wythenshawe) who drowned crossing the Mersey in 1616. If Robert the younger was the son of his marriage to Susan Stubbes then he would probably have been too young to have been mentioned in a legal document of 1616, so he is much more likely to have been the second son from his first marriage to Eleanor Warren. The same would also be true of Robert, the son of William and grandson of Robert who was born in 1606. This Robert would eventually inherit Wythenshaw from his deceased father, but was too young at the time and had been made a ward of court, so is unlikely to be the younger Robert mentioned. In the articles of agreement document of 1593, Robert is said to have at least two sons – presumably William and Robert – and several daughters, although none are specifically named.